With many students getting ready to head back to school next month, T-Mobile decided that it’s a good time to kick off its latest Buy One, Get One deals to help prepare those students for their new classes. Starting today, T-Mobile is offering up to $700 off an iPhone 7, iPhone 7 Plus, iPhone 8, iPhone 8 Plus, or iPhone X when you buy one device, trade in a phone, and port in a line. 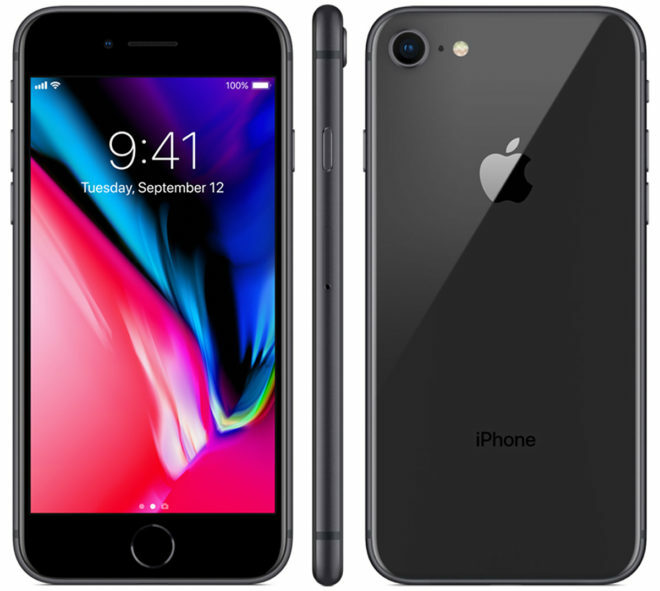 This deal will cover the cost of an iPhone 7, iPhone 7 Plus, or iPhone 8 if you choose one of those as your second device. If Android’s more your thing, you can get a Galaxy S9 for free when you buy one Galaxy S9. You can also buy a Galaxy S9+ or Galaxy S8 Active and get $720 back, or buy one LG G7 or LG V30 and get up to $750 back on any second LG device. These deals require you to buy your new phones on EIP and add a new T-Mobile One line. You’ll get your money back via 24 monthly bill credits. T-Mobile’s also got some new deals starting next week, including an iPhone 6s for “less than a hundred bucks.” Starting next Friday, the Galaxy S8 will be available for $199 and the Galaxy Note 8 will cost $399 with 24 monthly bill credits when you add a T-Mobile One line and buy your new phone on EIP. There’s a nice variety of devices being discounted in this latest round of T-Mobile deals, so anyone interested will have several devices to fit their preferences and budget. The offers do require you to add a new line or port a line in, but that’s not too surprising since many of T-Mo’s recent offers have included those requirements. What do you think of T-Mobile’s latest deals? Will you be taking advantage of any of them? Hmm…I don’t see the deal for the iphone except the 99 dollar one. I don’t see it on the source link provided. I only see the part you pasted in the article itself not on tmobile. I see it now. I had to click through some of the links before getting there. I think for LG phones you dont need to add a line or port in. I just checked out the website and I believe you’re correct. The S9 deal specifically says that you have to port a line but the V30/G7 deal makes no mention of that. They’ve done it this way in the past so it’s not surprising. That’s because no one wants an LG phone. They keep recycling the same promotion. The V30/G7 deal makes no mention of porting a line. It’s not in the title but it is mentioned in the paragraph about android. Thanks I see it now! It’s in both the title and the paragraph about Android. I could have sworn I re-read the title before posting and it wasn’t there, might have been edited after my post though, oh well. Seriously!? How many people want to or are even capable of adding a new line? Cut this carrier crap out and make deals available for all current and future customers, T-Mobile’s supposed to be the “un-carrier” after all. Edit: The V30/G7 BOGO deal makes no mention of porting a line. I’m already maxed out on my simple choice family plan (12 lines) Why can’t the Uncarrier make all BoGo deals like the LG phones?? Because the numbers show people are willing to create new lines/port in to get an Apple or Samsung phone. Nobody is switching carriers for an LG phone. The manufactures are the ones covering the cost. So if its a bogo with no port in / all. LG is reimbursing the carriers. We just upgraded a couple of our phones to the V30 using the BOGO deal. The LG deal DOES NOT require a new line or T-Mobile One. Unfortunately you can’t Jump phones as part of this deal though which makes no sense at all. The BOGO deals tell you how overpriced these phones really are. T-Mobile isn’t taking a lost on giving away free phones. They’re just taking a smaller profit on the phone in exchange for long term profit with the overpriced monthly service. Financing a phone is the new two year contract (even though contracts are dead). Keeping the phones overpriced means most people can’t buy the phone straight up. You got millions up people paying an extra $30 a month forever just to maintain a new phone. Cell phone companies win again. Seeing as the manufactures set the pricing. And if you go to the manufactures website to finance it or the carriers and pay the same….The only thing the carriers make money on is the monthly plans. And it still takes quite a bit of time before they become truly profitable from a customer. Carriers don’t pay retail price for their phone inventory. Which deals do not require a new line? I asked about the S9 in store which does not mention a new line online, but they said I need a new line. I am most interested in the S8 for $199, but looks like that may also need a new line. Is there a trick to adding a new line or do I need to change carriers and then move back? You have to add a line. And if you leave and come back, You will not be eligible for said promotions because you are not a “new” customer. Or a “new” line. I have 6 lines now. What if I move 1 or two lines to a prepaid plan for a month (or maybe just a week) and then move back. Can that be done? And what is the minimum time frame to leave and come back. And Port in a Line. If I did this, I’d have to change my 2/$70/6GB plan I have which also has a free line from the Magenta Friday a while back. They told me I’d have to switch to the One for all my lines. I’ll just wait for the prior year flagships when I jump to a new phone.